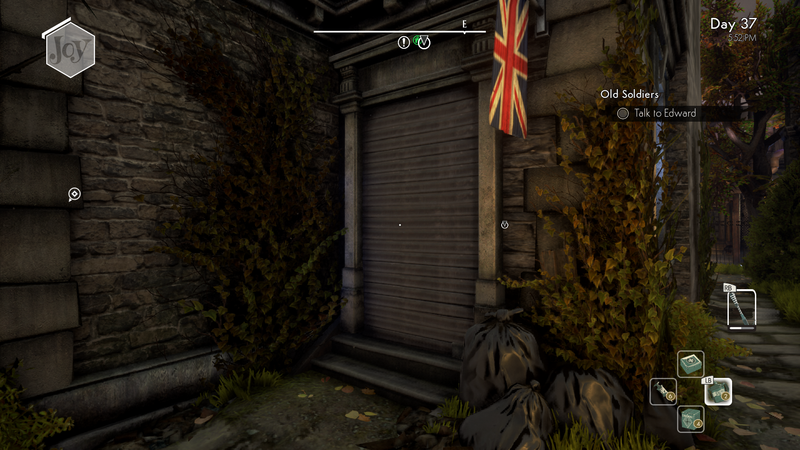 I was playing the game on Xbox One and upon getting to Edward's house and going around to the back door, I found out it was closed up tight. By that, I mean the defense shutters.....what uh...is this a bug with the quest line or is it something I've done wrong? I'd like a little help, wanting to finish all quests possible before finishing as Arthur. The game is fully updated, recently installed, and the system as far as I'm aware is up to date as well. If I left out any other needed information, please let me know. What's your current objective in the Old Soldiers quest? If you save and reload your game, does it resolve the issue? If not, could you provide a video or screenshots of your quest journal and the doors on the house which are blocking you? This is a known issue that can occur at Edward's house. NPCs can wander into the encounter and trigger the shutters when they walk through the doorways. We're planning to address this in a future patch, however we don't have details yet for when that patch will be released. Attempt to lockpick the front door and use that entrance if the metal shutters have not been triggered. During the day, wait for NPCs to wander into or out of the house. When they use the doorway the shutters will raise. This gives you a few seconds to shove the NPC and proceed through the doorway. You may need to do the same when you need to leave the house, if the shutters come down again. In this case, you can also save and reload your game after you complete the objectives inside the house, as this will spawn you on a bench in the streets. 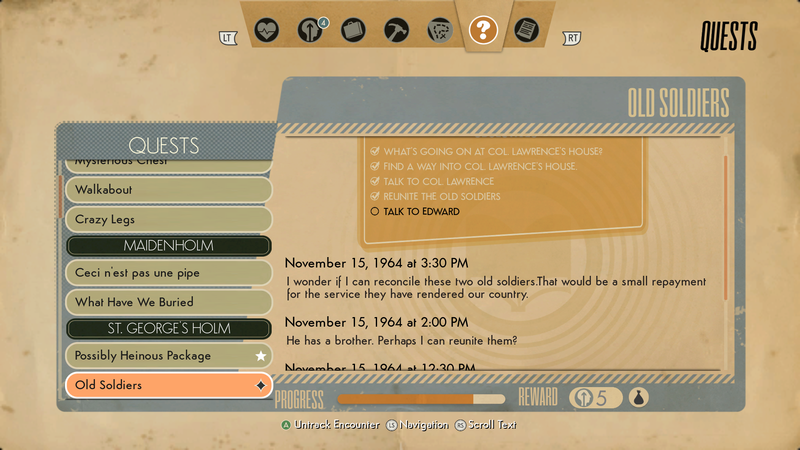 Load an older save from before the issue occurred, such as the 'Last Shelter Visited' save. Note: This will cause you to lose some progress. We realize those solutions are not ideal and we hope to patch this issue as soon as we're able. Both doors were shuttered, but I did find out about the NPC part while playing the game upon checking on the house for any possible changes. Took a few tries, but finally got in and got the quest line done. The shutter stayed up after knocking the NPC out from behind, so I didn't have to wait any longer. No idea when it first occurred, so I'm glad it went the way it did. Thank you for the help, and I'm glad that the patch will help with it! Wish you all the best of luck with bug fixing and patching, it probably isn't easy but the players certainly appreciate it!